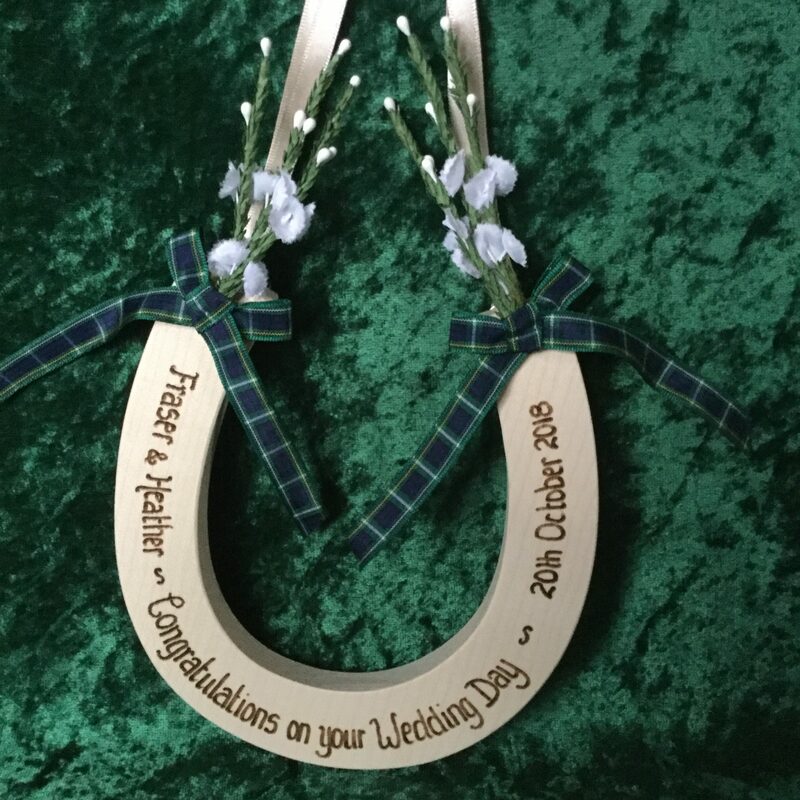 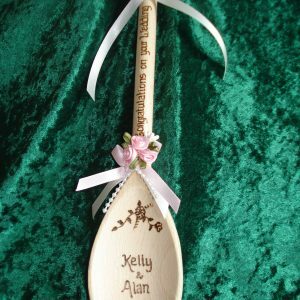 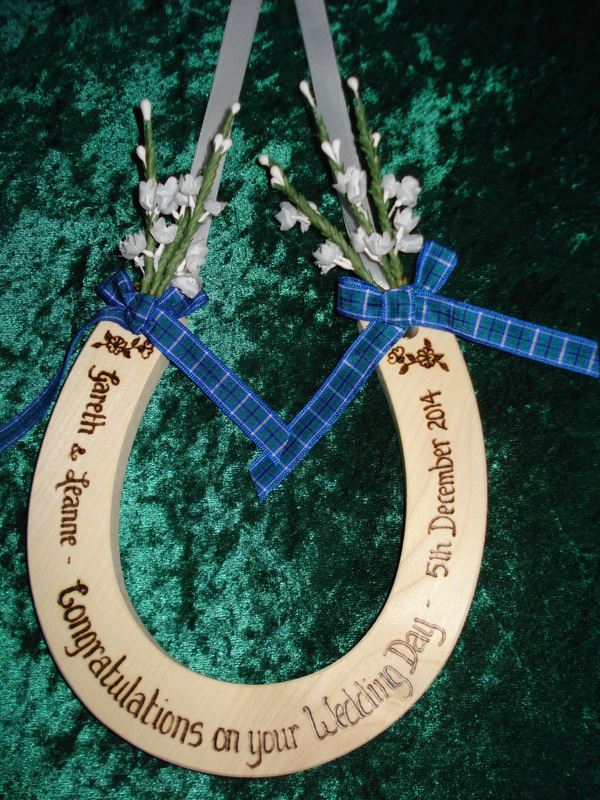 Heather and Tartan Deluxe Wedding Horseshoe with three sprigs of lucky heather either side and a tartan bow.The horseshoe is made from solid sycamore and measures approx 5.5 x 5.5 inches. 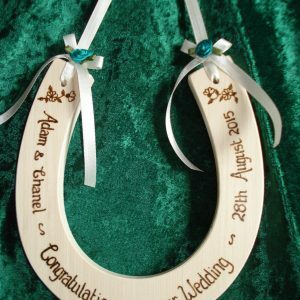 This horseshoe will be personalised to your requirements, I e names, date and optional on the back who it is from. 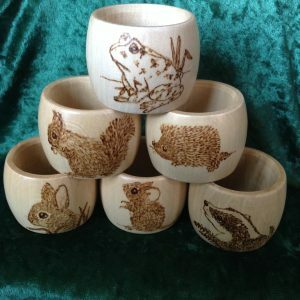 Choose from white, pale lilac or purple for the heather . 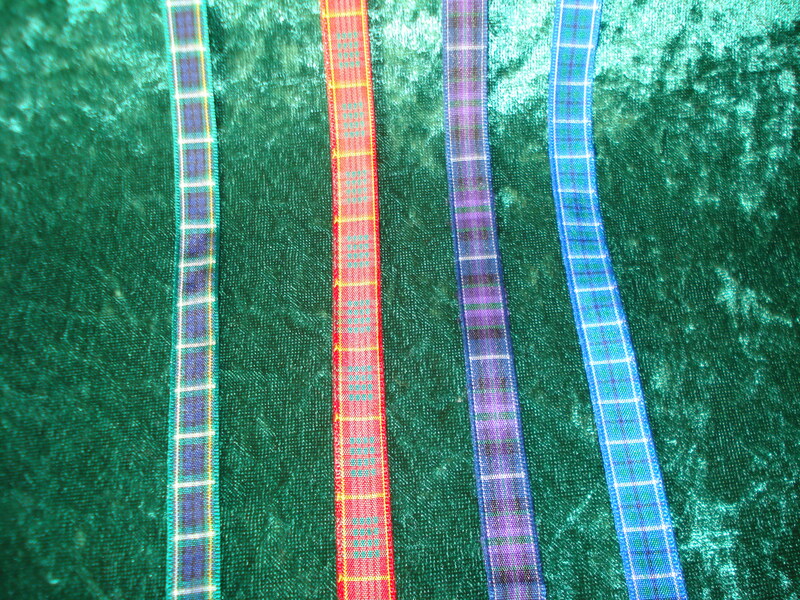 The bows of tartan ribbon are available in red,blue, purple or green. 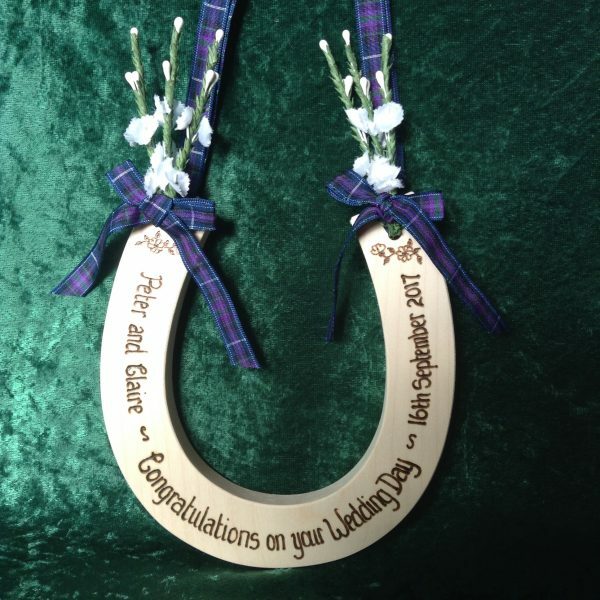 If you have a particular clan, send me the relevant tartan ribbon for me to use!